How much protein should athletes consume? Bodybuilders have long known that consuming extra protein makes it easier to add muscle. Yet low protein dieting can enhance immunity against viruses and bacteria, and extends lifespan in animals. 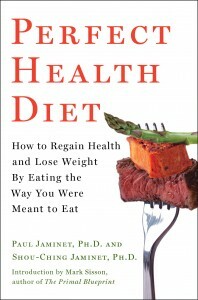 The Perfect Health Diet, because we’re positive toward saturated fats and starches, will often lead to lower protein consumption than other Paleo diets that restrict fatty or starchy foods. So it’s natural that some athletes and bodybuilders have asked how to optimize protein intake. I believe my performance improved (albeit marginally–the differences aren’t large) when I allowed my protein/carb/fat ratios to remain consistent despite my high caloric intake, which is ~3,600 calories/day. In other words, I had a sense of better performance when I lowered my fat% to around 65 and allowed around 200g/day of protein (I work out 2-3x a week for an hour). At 3,600 calories per day, 65% fat is 2340 calories; 200 g protein is 800 calories; that leaves 460 calories carbs. How do these compare with Perfect Health Diet recommendations for athletes? Nitrogen balance. Nitrogen comes into the body in dietary protein and leaves the body in urine as ammonia, urea, and uric acid after proteins are metabolized. 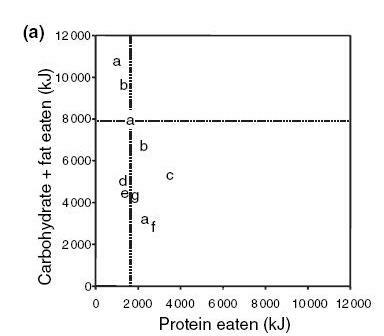 So when a person is in nitrogen balance, the amount of dietary protein matches the amount of metabolized protein, and the protein content of the body is unchanged. Very likely, the muscle content is unchanged too. Exhaustion of benefits. We want to find the “plateau region” for nutrients. Athletes want to know: at what level of protein intake does protein no longer help build muscle? Toxicity. At what level of protein intake does protein begin to damage health? There’s a great deal of variability across persons. 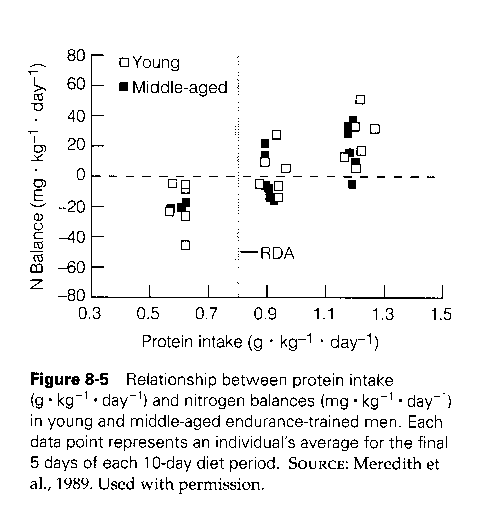 Some people are in nitrogen balance at protein intake of 0.9 g/kg/day; others need as much as 1.5 g/kg/day. At 1.2 g/kg/day, half the sample was in nitrogen balance. Most of the sample probably ate a high-carb diet. Glucose needs were met from dietary carbohydrates. 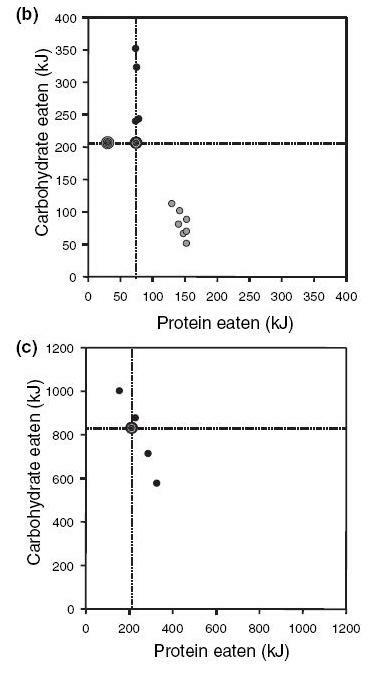 Low-carb dieters would need additional protein for glucose manufacture. As Ned states, in caloric deficit, protein needs are increased; in caloric surplus, protein needs are decreased. If you’re restricting calories for weight loss, expect to need a bit more protein to avoid muscle loss. Supplementing leucine “increased protein synthesis and decreased protein breakdown” , thus leading to nitrogen balance at lower protein intakes. The point of nitrogen balance is dynamic: if everyone in the sample ate 0.9 g/kg/day, then they’d eventually get into nitrogen balance at 0.9 g/kg/day. The body adjusts to conserve muscle at given food availability. The average person needs much less protein to be in nitrogen balance. The US RDA for protein, 0.8 g/kg/day, was set so that 97.5% of Americans would be in nitrogen balance. But just to be conservative, and because we’re developing advice for athletes, let’s consider 1.5 g/kg/day as the protein intake that brings our athletes into nitrogen balance. What about the protein intake that exhausts benefits? At what intake is muscle synthesis no longer promoted? On my reading it’s not so easy to infer a clear answer, but let’s go with this. If so, then muscle gains would be exhausted at 1.25*1.5 = 1.875 g/kg/day even for the most strenuous athletes. We deal with this in our book (p 25). At a protein intake of 230 g/day (920 calories), the body’s ability to convert ammonia to urea is saturated. This means the nitrogen from every additional gram of protein lingers in the body as ammonia, a toxin. Clearly marginal dietary protein is toxic, via ammonia poisoning, at this intake level. A reasonable estimate for where toxicity begins is between 150 to 200 g/day. Let’s say our athlete is an 80 kg man. Then maximum muscle gain will be achieved at a protein intake of 1.875*80 = 150 g/day. 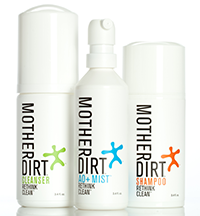 Toxicity will begin somewhere between 150 to 200 g/day. So the “plateau region” where all the benefits, and none of the toxicity, are achieved is between 150 g/day and some protein intake not much above 150 g/day. The plateau region is quite narrow! What this tells us is that athletes should consume about 150 g/day protein. This assumes a high-carb diet, so that no protein is needed for gluconeogenesis. The body utilizes about 600 calories/day of glucose, plus another 100 calories per hour of intense training. With carb intakes below 600 calories/day, additional dietary protein would be needed, because protein would be consumed nearly 1-for-1 with the missing carbs. On a high-carb diet (>600 calories/day), 600 protein calories/day maximizes muscle gain. 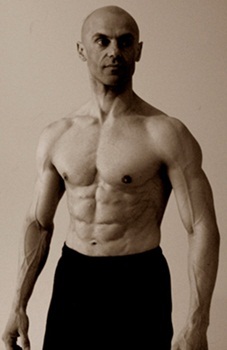 On a low-carb diet (<600 calories/day), 1200 carb+protein calories/day maximizes muscle gain. Looking back at Advocatus Avocado’s personal experience, he eats a low-carb diet with 460 carb calories per day. We predict therefore that he would need 740 protein calories a day to maximize his muscle gain (plus up to another 100 calories per hour of training, to replace lost glycogen). Advocatus says he needs 800 protein calories/day to maximize muscle gain. Close enough for blog work! At these protein intake levels, Advocatus is probably experiencing mild ammonia toxicity. He might slightly improve his health by eating a few more carbs, and cutting his protein intake a bit. He might also find that leucine supplementation would reduce his protein needs a bit. Overall, however, I think his experiences are consistent with our framework for understanding nutritional needs. Those who are content with maintaining an ordinary person’s muscle mass can get by with relatively low protein intakes of 0.8 g/kg/day or less. But muscle-building athletes need high protein intakes, around 1.9 g/kg/day, to maximize the rate of muscle gain. If they eat low-carb, they may need even more protein. Such high protein intakes are likely to exceed the threshold of toxicity. Rudman D et al. Maximal rates of excretion and synthesis of urea in normal and cirrhotic subjects. J Clin Invest. 1973 Sep;52(9):2241-9. http://pmid.us/4727456.